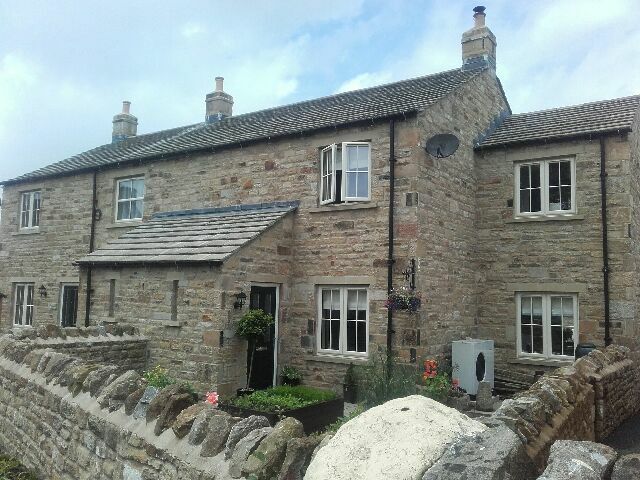 Set in rolling fields and moorland, the peaceful setting of Bainbridge is a village that benefits from its own Primary School, Village shop, Post Office, Butchers and a number of Tea Shop as well as the Rose and Crown Hotel. The Rose and Crown is reported to be one of Yorkshire’s oldest Ale Houses, having been in operation since 1445. The project was undertaken on a design and build basis by Developers Hornblower Developments launched by David Collinson, the landlord of the Rose and Crown Hotel, and Graeme Newton, Managing director of Randall Orchard Construction Ltd. 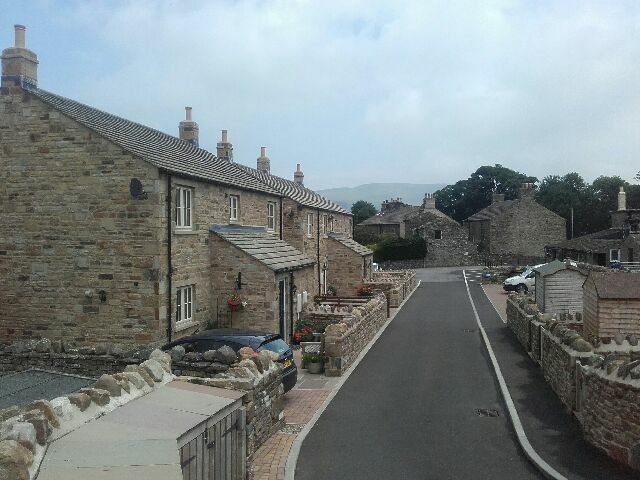 The Yorkshire Dales National Park Authority has used ‘local occupancy’ agreements since the1990s to direct homes to local people. These properties provide much needed homes for local people, young and old alike and has allowed the occupants to stay in the area. 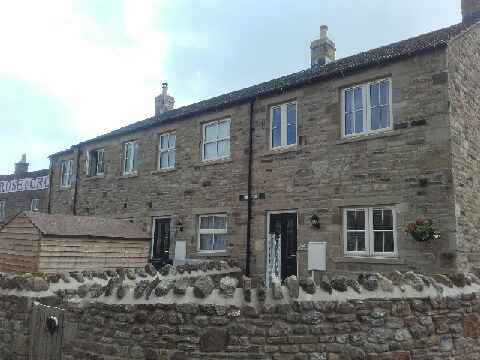 The eight properties were all sympathetically designed providing attractive homes in this popular village. 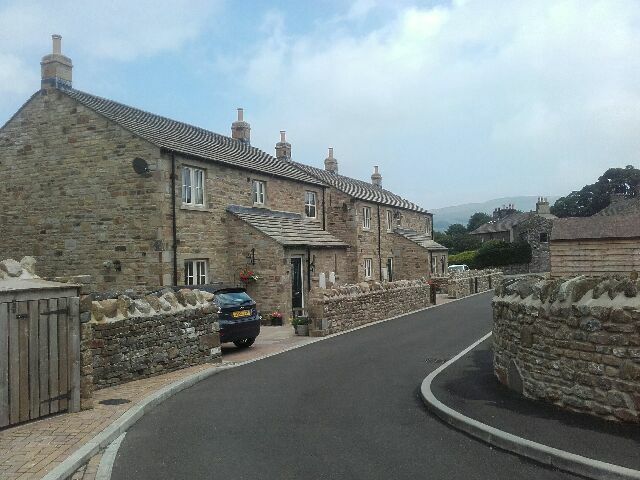 Reclaimed stone was used externally, this was just one of the measures taken in order for the new houses to blend into the existing village and surrounding area, not only is this aesthetically pleasing it is also good practice from an environmental point of view. As well as the properties benefiting from double glazing throughout, the central heating for the homes is provided by one of the most economical and energy efficient systems available, an Air Source Heat Pump, this helps to reduce the Carbon Footprint and promote Renewable Energy. The properties all benefit from a NHBC 10 year warranty and were provided with the NHBC Home User Guide, the homeowners then have access to all the policy documents and get the full benefit of the insurance cover provided under the Buildmark policy including cover for the deposit money between exchange of contracts to completion date, as well as contact details for the NHBC Customer Services team. The HUG has lots of useful information about the process of buying a new home and what to expect when moving into a newly built home. It also has a range of ‘how to guides’ such as how to bleed a radiator. The HUG has all the important information needed about the local area and can even help find a local tradesman for any home improvements they may wish to make. Phase II of the scheme should commence during 2018.